The 259-pages book (ISBN 978-1-907920-04-2) is written for students, engineers and others, who like to learn more about CAN and its applications. It describes the basic CAN principles and the development of micro-controller based projects using the C programming language. Also the principles of OBD systems used in vehicle electronics are explained. The book assumes that the reader has some knowledge on basic electronics. Knowledge of the C language is useful for understanding later chapters. Familiarity with the PIC micro-controller series will be an advantage to develop a micro-controller based project. The book comes with a CD containing a demo version of the MikroC compiler. The latter supports PIC, dsPIC, PIC24, PIC32, and AVR micro-controllers. 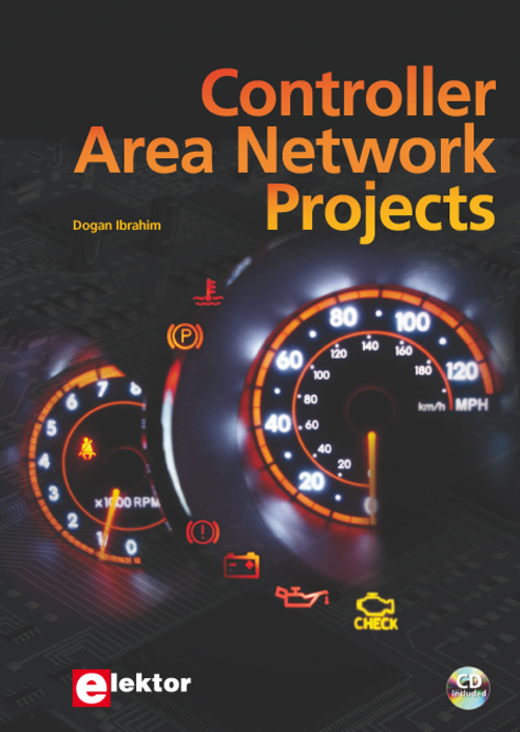 In addition, the CD features a function-library for creating and programming of CAN networks.